You can call me a fashion victim but I love trends! I love how all shops change their looks every season and transform their key pieces together with the change of weather. Well, at least the ones in Europe... Military jackets - an autumn must have! Below I present some of my favourite outfits from other bloggers and great buys from the high street shops. Don't wait - get one and play with it! Pair it up with a romantic dress, jeans and a white t-shirt or bold colours. 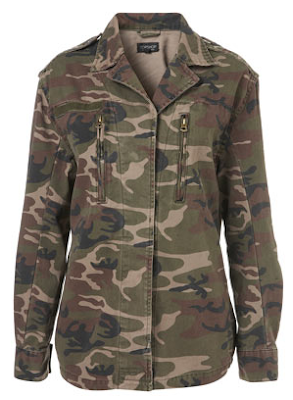 There is no limits when it comes to military style jackets! 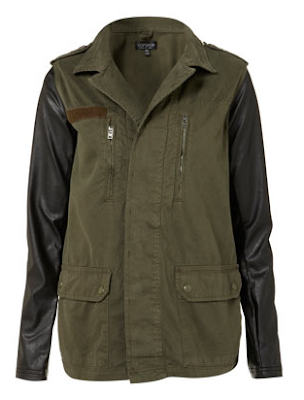 Zara is definitely the best place to shop for military style this year. 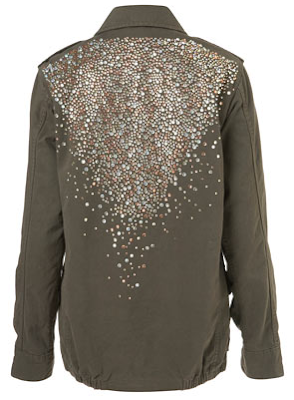 Also, I love their approach towards mixing camo and khaki with sparkly bits! Topshop didn't do too bad themselves. It is a great place to shop for trends as well! Well done for replacing the sleeves with leather bits! 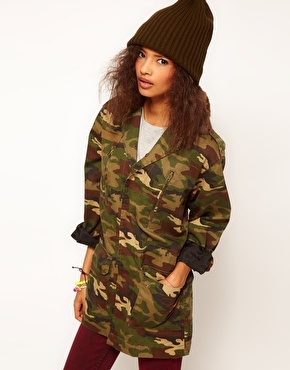 Asos also has a couple of nice ones for us to get. 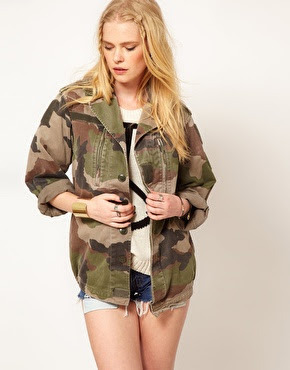 A different pattern and a classic American Army style piece.